I'm a software engineer and long time SP-1200 user (used a 303 for a while before that too), and I'm currently working on a modern clone of this classic machine, based on a raspberry pi. I made some pretty good progress so far. I've got most of the basic features like multi-pitch, multi-level, channel assign, chopping, and more already done, as well as a barebones 24ppq sequencer. Can be plugged into a monitor via hdmi, and works like a mini computer with a keyboard and mouse. Could do your mixdown in audacity without an external computer for example. Let me know what you think, would this be something you'd be interested to see available? I mainly wanted to make this for myself as a travel/gig portable SP at first but there seems to be some interest so I might find a way to get some units made and distributed. SP-1200 prices have really gotten out of hand these past few years, this could be a good alternative if you've never experienced how amazing the workflow is on this machine. I know people who would bite your hand off in a heartbeat to own one ..amazing stuff,seriously wish you all the best with this. Awesome, love the shoe box design too. Keep it up! 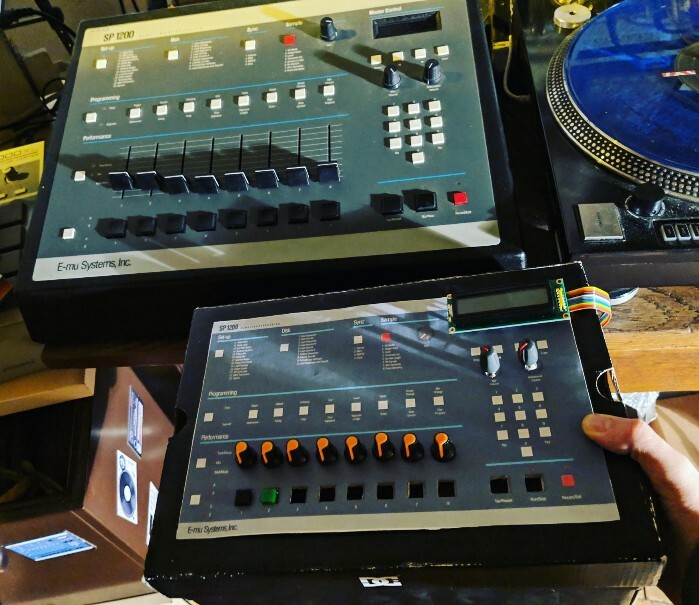 i already gave you props in the sp-1200 fb group - amazing progress so far! With how much SP-1200 cost nowadays I'd definitely pay a decent amount for something like this, especially because it's portable. Thanks y'all, I appreciate the feedback. Just Blaze actually commented on it saying he wants one, I was pretty stoked. If you have any suggestions for features you'd like to have on a machine like that please let me know. I'm not sure I understand your question right, but yeah there will be some internal fx. I have already implemented variable bit depth from 1 to 12bits, and Low-pass & Hi-pass filters. There's a video on my IG of the variable bit depth. I'm very interested in this project. Do you plan to sell complete units or kits later, or release the plans in the future? Thank you. Most likely both assembled units and diy kits will be available. Both the hardware and the software might be open sourced, but that's still up for debate. Man this is ill!!! You can mark me as a guaranteed sell. If you're looking for investors, im interested in that as well. Im about to follow you on IG. Keep up the work! Any way continue the good work !!! Thank you very much, I'll definitely keep that in mind. Great job. Wonder if i should grab an Emu Drumulator?